This sight is not easily forgotten. 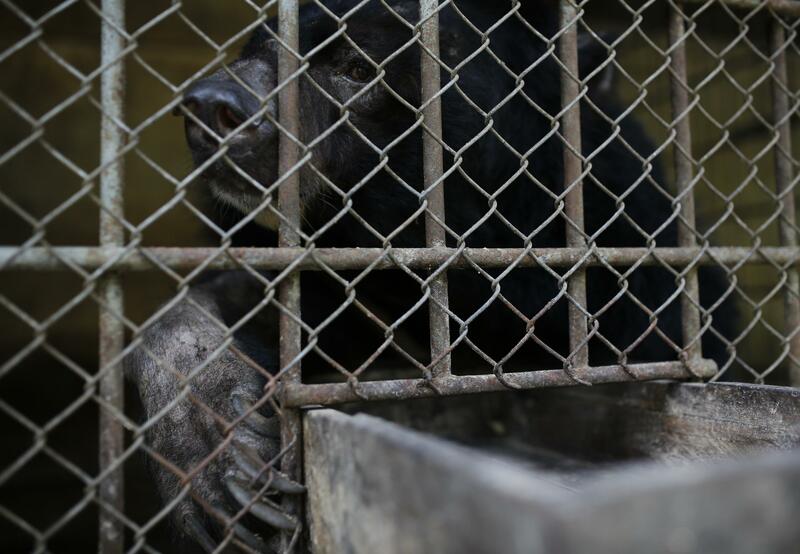 Five bears imprisoned in dark concrete and metal cages. 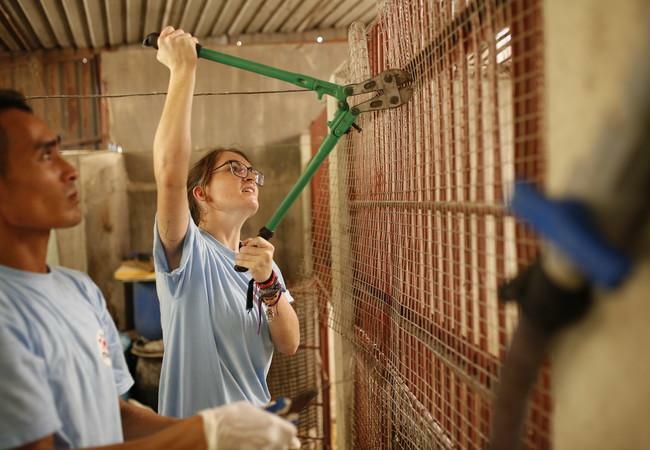 First it was Keo's turn. There was almost no air in the room at 35 degrees Celsius, the flies were buzzing, deafening noises of all kinds and no water or food was in sight. Her head lowered she sat in a corner. 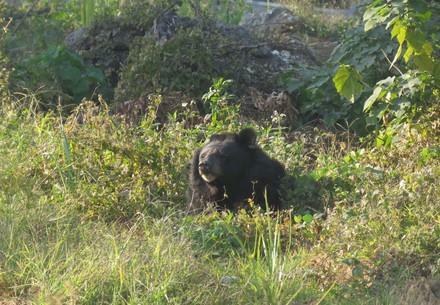 She didn't move, didn't follow us with her eyes as the hustle and bustle began and the vets started preparing her anaesthetic. 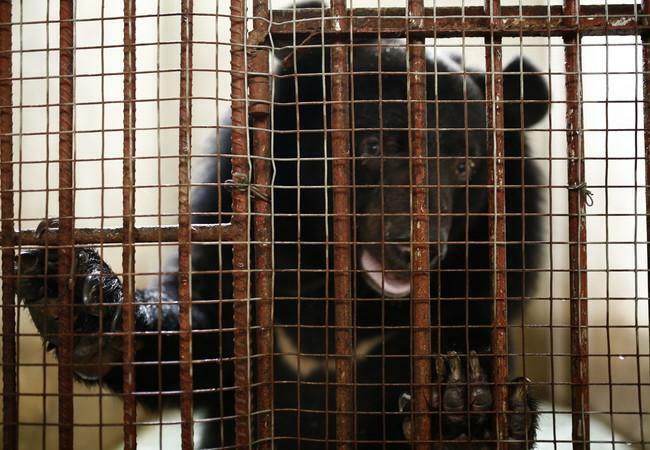 A broken animal at the end of its strength. 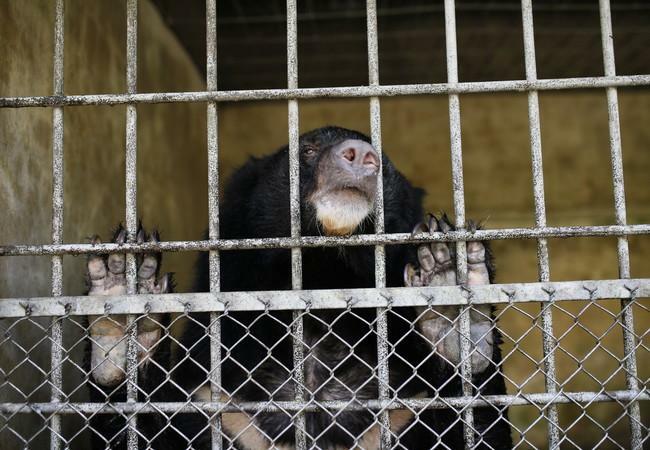 She was not the only one suffering and being abused - the four other bears - Lim, Dieu, San and Khoai Lang - were in a very similiar condition as well. 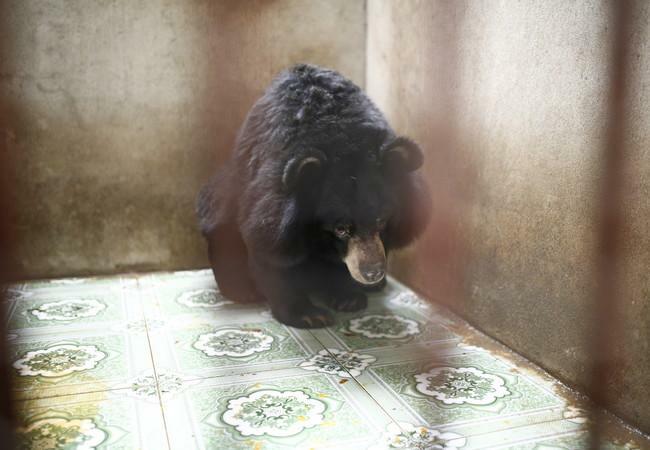 "Bear Keo was lying depressed in her cage when we arrived. 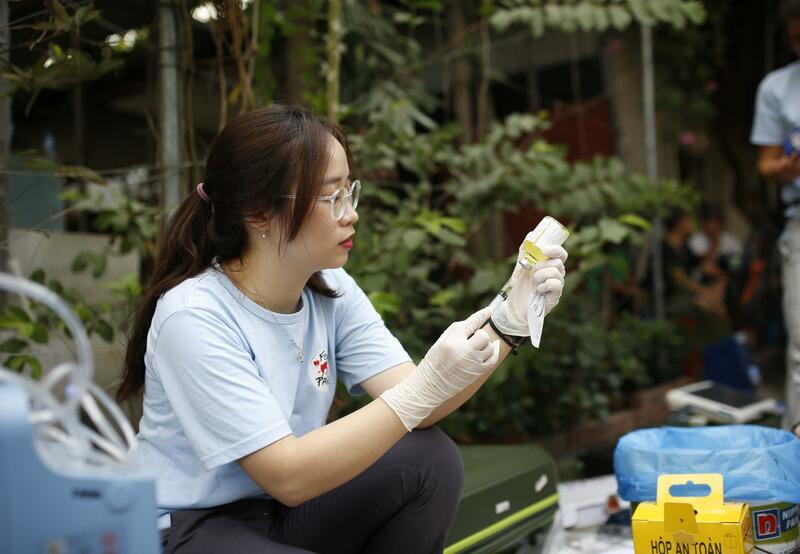 Her medical examination showed that she must have suffered from massive pain. 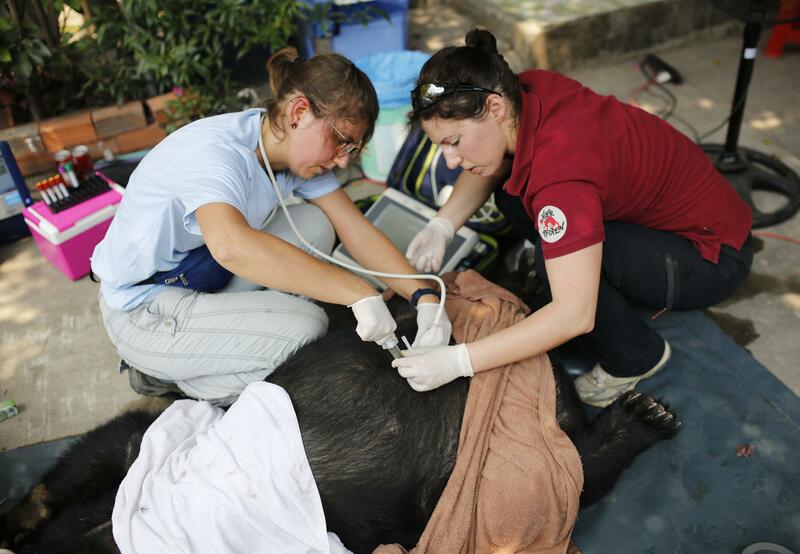 Keo’s teeth are in horrible condition and she suffers from severe inflammation of the liver and gall bladder. Bear San suffers from massive hair loss due to the cruel and unhygienic keeping conditions. The condition of the gall bladders of all examined bears shows that they had to endure regular bile extractions." The first medical checks have revealed some health problems, but we are certain we can treat them conservatively in the next few weeks at BEAR SANCTUARY Ninh Binh. All of the above is now in the past: We succeeded in rescuing these five former bile bears from the Vietnamese provinces of Binh Duong and Dong Nai. 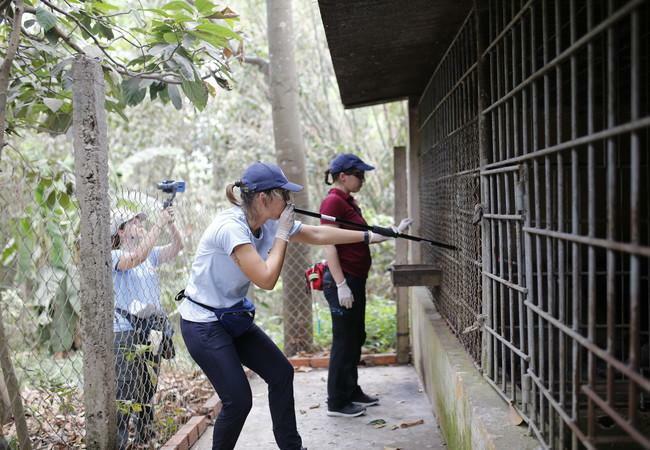 A FOUR PAWS team, accompanied by Dr. Johanna Painer, a veterinarian at the Vienna University of Veterinary Medicine, checked the bears thoroughly and could confirm that all five of the animals had to endure bile extractions. After their successful rescue and examination within two days, the only thing that still separated the animals from their new life at our BEAR SANCTUARY Ninh Binh, was the 48-hour journey from the south to the north of the country. The original plan was to rescue seven bile bears from Dong Nai Province in southern Vietnam and bring them to the sanctuary. 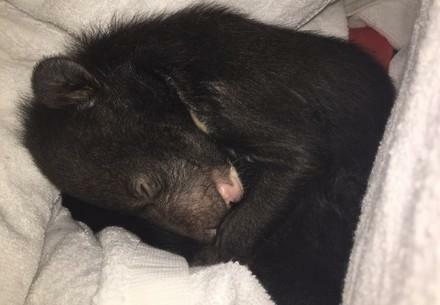 Tragic circumstances, however, thwarted the plan, with four bears dying within a week on the same farm under yet unknown circumstances. 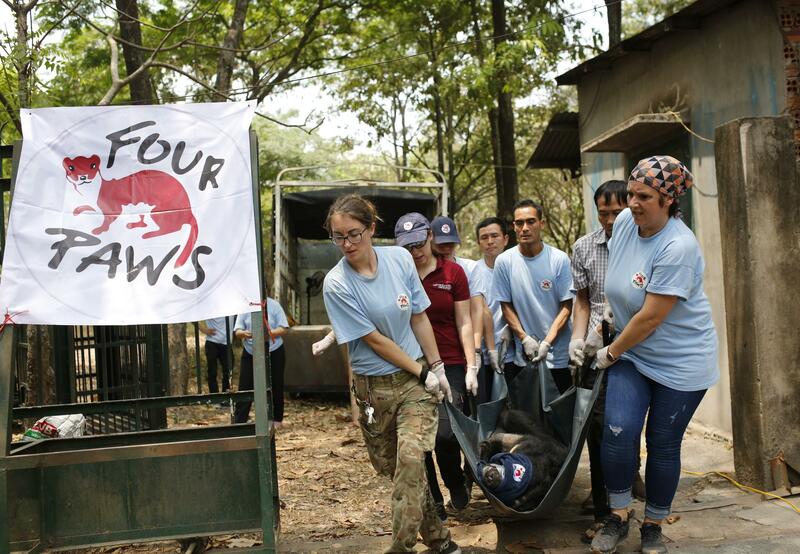 FOUR PAWS is calling on the Vietnamese authorities to carry out a thorough investigation into the cause of death. 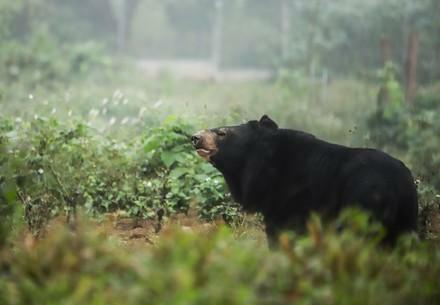 Bear owners have been killing their animals time and again to capitalise on their organs one last time. 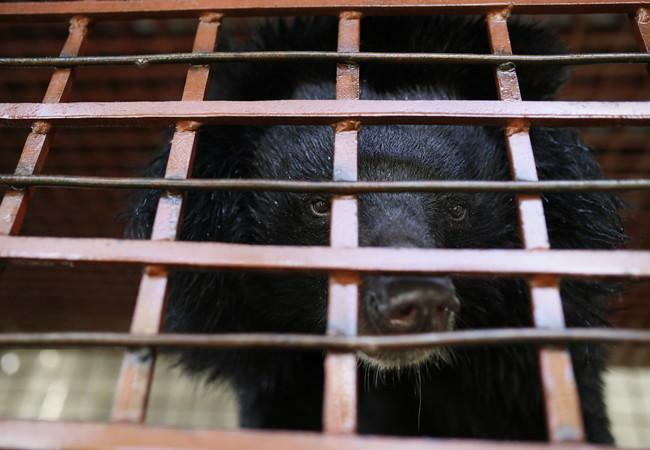 Should this be the case with the four deceased bears, FOUR PAWS demands a strict crackdown on those responsible. 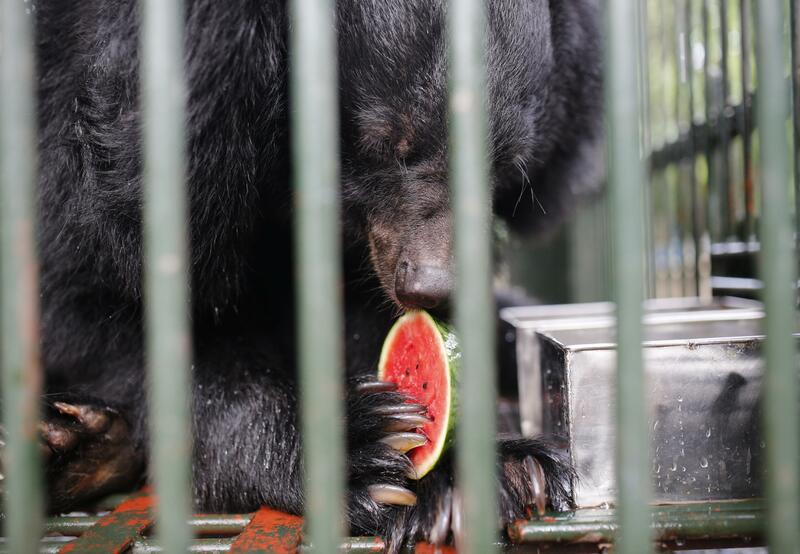 Despite the successful rescue mission, FOUR PAWS still has a lot of work to do: The demand for bear bile for allegedly curative purposes is still high in Asia, although there are alternatives. In Vietnam, around 800 bears continue to suffer under the most horrible conditions on bear farms . 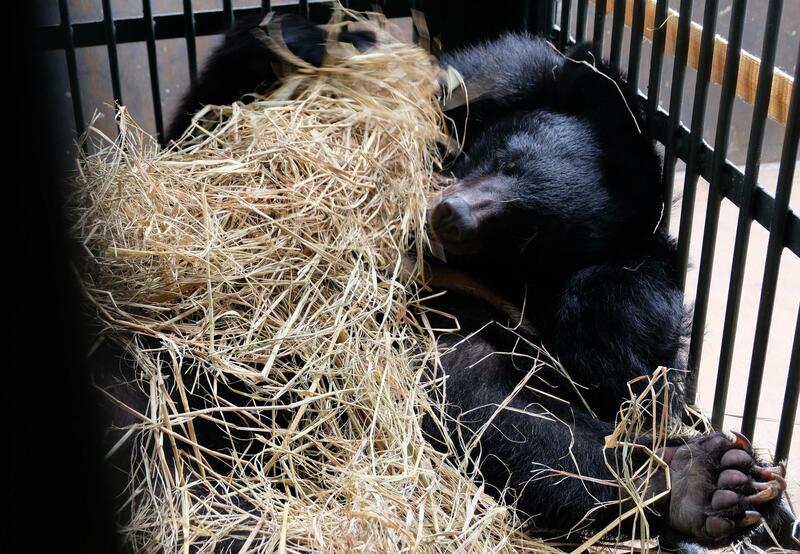 Help these five former bile bears to leave their past behind. 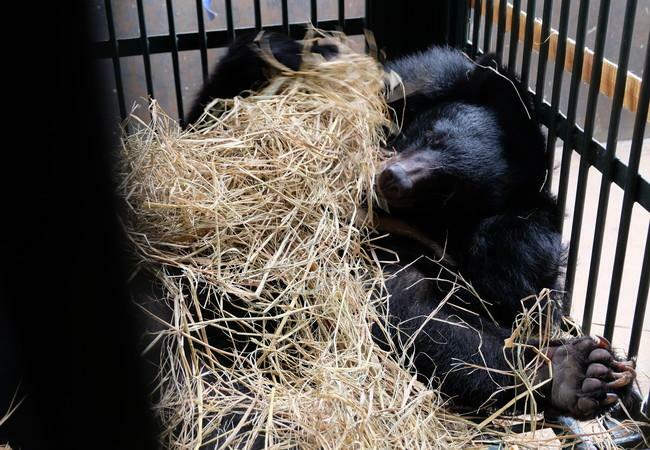 A former bile bear, suffering from stress disorder, enlarged adrenal glands and with two missing front paws, is finally rescued.